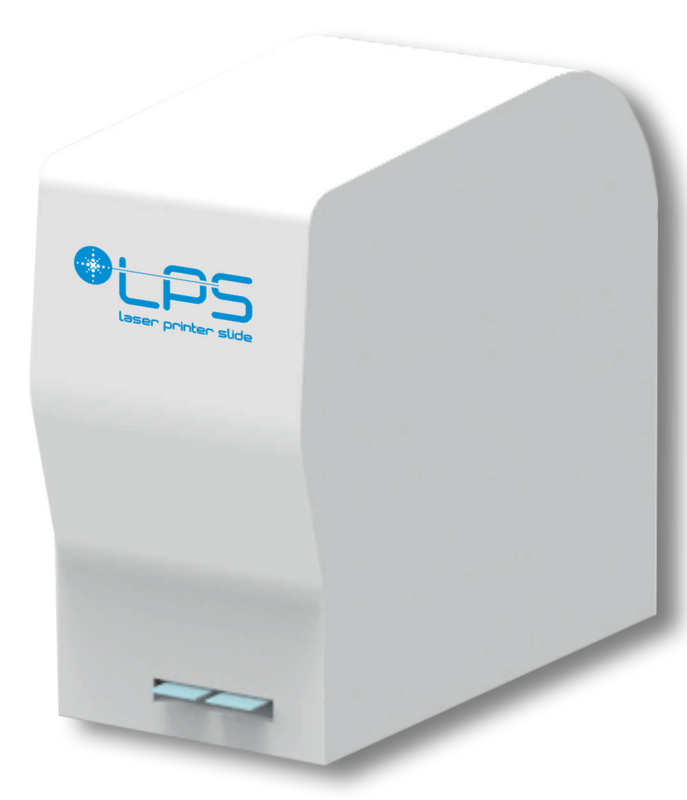 Laser printer for slides LPS represents the ultimate technology in histological slides printing. It prints 2 slides in 5 seconds with high resolution quality up to 600 DPI. It provides effective and efficient work in reduced dimensions. It prints indelible identification information on the bandwidth of the slide using Neodymium YAG laser. No use of ink or ribbons needed, allowing a significant reduction in operation costs when compared to conventional printers. Used for printing: texts, logos, linear barcodes and Data Matrix codes. LPS can be integrated with the LIS system or other management software. The LPS software has been specifically designed to be feasible to install on any Windows PC. It allows acquiring of identification information by means of a Barcode reader or USB port. All data can also be entered manually.